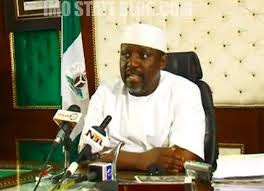 Governor Okorocha of Imo State, has said that the federal roads in the east have become death traps. Okorocha stated this, at the Government House, Owerri, when members of the National Assembly, committee on works led by it chairman Hon. Tobi Okechukwu visited him, weekend. According to Okorocha, “My government has got no other option than to fix some of such roads in consideration of the plights of the road users.” He continued, “In Imo we do not know again which one is federal road or state owned road. We do every road like the Akokwa/Orlu road which we have fixed and dualized. Owerri/Port-Harcourt is so bad. There must be a cooperation between Federal Government and Stakeholders on these roads.” The Governor also used the opportunity to commend the Speaker of the House of Representative, Rt. Hon.Yakubu Dogara, for settling the crisis between the National Assembly and the presidency. He said, “I want to commend the Speaker of the House of Representatives, Rt. Hon. Yakubu Dogara for the patriotic role he played towards reconciling the National Assembly with the Presidency” adding that ” the National Assembly has so far done well.” Responding, the National Assembly Chairman House Committee on Works, Hon.